Do you ever feel like some things are supposed to happen? Last Monday was a weird blog day for me. I broke down and told you guys that we weren't doing a holiday gift card exchange this year. That was really hard for me to do. It was also the day that I decided to run a post called "Inches and Seconds and Luck" that I had been debating sharing with you guys. I worried some people might think I was a bad person/parent for admitting that I'm checked out as a parent sometimes, trying to get through the day. The post was about how lucky and grateful I feel that I was mindful and paying attention when a little boy ran behind my van as I was backing out of the preschool parking lot recently. That same day, I got an email asking me to write a sponsored post to promote a campaign to reduce drunk and distracted driving among teenagers. 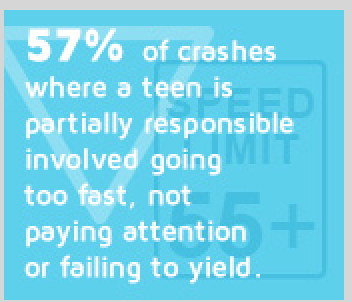 I watched the video - it was all about teenagers needing to pay attention, to keep themselves and others safe behind the wheel. I was like: "Goosebumps! YES!! Of course, I'll do it. You don't even need to p--"
*Yes. There will be photographic evidence of this. Kate suggested also wearing beards. So I'd like to sincerely thank the Century Council for the opportunity to promote something I already feel strongly about (so strongly that I have JUST written about it). I also want to thank them for giving us the money to help some families out this Holiday season. The campaign is called "I Know Everything" and it's a play off the fact that "teens are overly confident and think they’re invincible. Most parents have years of driving experience and feel they are qualified instructors to teach their own children how to drive safely. Everyone thinks they know everything." 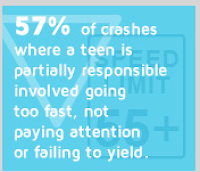 The fact is that car crashes are the number one killer of teenagers ages 15-20. Here's the thing that makes it so hard for me - especially in light of the inches and seconds and luck that are still haunting me right now - these deaths are often preventable. Losing a child is never ok. Losing a child in a preventable accident just... It just makes me feel crazy. 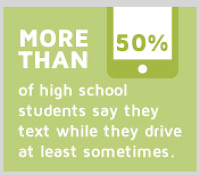 Also, here's the 4 minute video they made to help teens remind themselves that they already know everything they need to stay safe and make good choices while driving. I feel like right now, the best thing I can do is model the kind of behavior I want my kids to see. It also means taking that extra step and talking about it with them. For me, it also means putting the phone away. I've definitely been guilty of this in the past, but given the experience I recently had - I'm already a better, more focused driver and I'm not going back. No matter what.